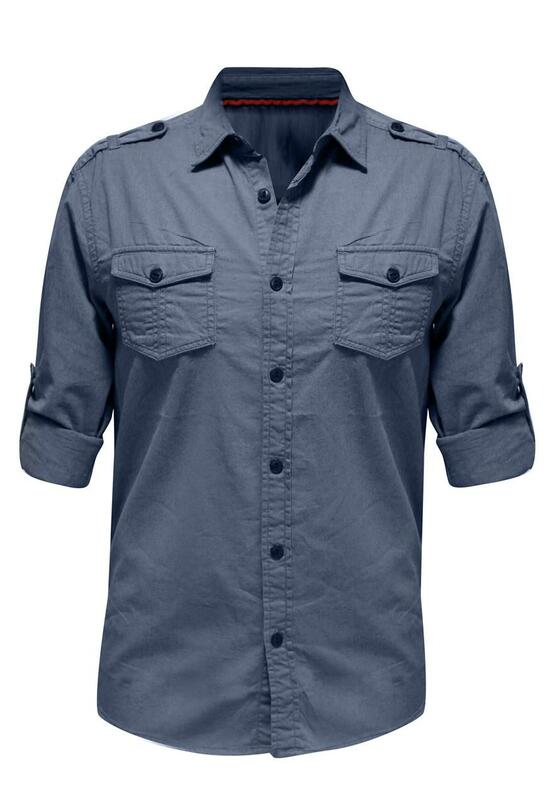 Work the military look with this twill shirt in a casual design. Great for the everyday, add some leather and a bit of camouflage to take the look to the next level. 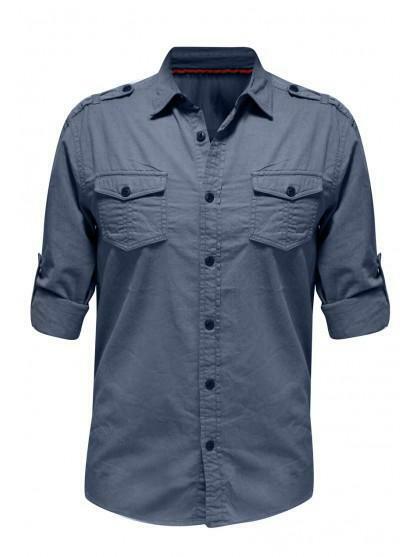 Features double front pockets with a button up fastening and cropped sleeves.